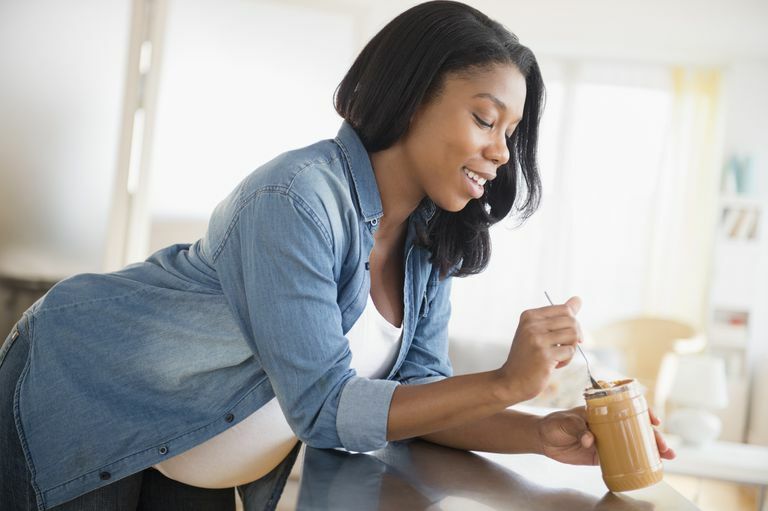 Pregnancy cravings are something that most people expect during the nine months of pregnancy. The old standard is pickles and ice cream. The truth is that as many as 68% of all pregnant women will experience cravings, usually due to hormonal changes. Throughout pregnancy, as the different hormones fluctuate, women may find that they are sensitive to the smells of certain foods, actually to the point of nausea in some cases. Others may find that their once favorite food is no longer tolerated, or that a food that was always the least favorite is now top of the list. However, there is a condition called pica, where a person craves and consumes non-food substances. Some typical things to be consumed include ice chips, dirt, laundry soap, starch, hair, matches, etc. The name pica comes from the Latin word Magpie, a bird known to eat nearly anything. Pica strikes all races and socioeconomic groups, however, there are cultural tendencies towards this disorder. While it is also associated with nutritional deficiencies, pica can occur when there are no deficiencies. The most frequent deficiency noted is anemia. This does not mean that everyone who has anemia will crave non-food substances, nor does it mean that everyone who craves non-food substances has anemia. For years scientists have tried to peg each craving for a specific nutritional deficiency. For example, ice is supposedly either a folic acid or iron deficiency (anemia). In fact, anemia may actually be a result of the pica as opposed to a cause. When a person eats non-food substances it can interfere with the absorption of the nutrients in their food, or the person can quit eating regular foods in favor of the craved item. "Ironically, eating non-food substances like clay can actually lead to anemia by displacing iron-rich foods and interfering with iron absorption," offers Rick Hall, RD. Geophagia is the consumption of earth and clay. Geography guide, Matt Rosenberg puts it in perspective, "Most people who eat dirt live in Central Africa and the Southern United States. While it is a cultural practice, it also fills a physiological need for nutrients." He also points out that it may be thought of like a relief from common pregnancy ailments like nausea. Amylophagia is the consumption of starch and paste. Pagophagia is the eating of ice. I actually know this one well. As a normal ice hater, when pregnancy comes, I start driving through every restaurant and getting ice. I have my favorites too. It usually disappears shortly after the birth, but it's very intense while I am pregnant. I've never been shown to have anything that would cause this. There is also the consumption of ash, chalk, antacids, paint chips, plaster, wax, and other substances. These can be very harmful substances due to toxicity or blockage concerns. When the substances consumed are not toxic or harmful, such as ice. It is not necessary to stop eating the substance. However, in some cases eating toxic substances or substances like dirt and clay, have actually lead to the death of the person. So they should be informed of the dangers signs of eating that particular substance. This may include: pain, lack of bowel movements, bloating and/or distention of the abdomen, or change in bowel habits, not associated with pregnancy. All in all, not much is known about pica. The biggest concern of practitioners is that pregnant women will fear confiding in them for fear of embarrassment over eating non-food substances. This increases the risks to both the mother and the baby's health.